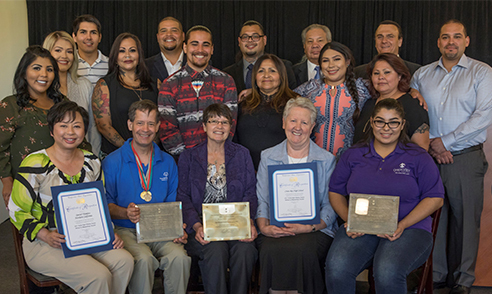 BROOKS, CA (May 7, 2018) - Yocha Dehe tribal leaders and citizens saluted the commitment and achievements of their Community Fund partners at the tenth annual Partners in Philanthropy Luncheon at the Tribe’s Séka Hills Olive Mill & Tasting Room in Brooks on May 7, 2018. SOLANO COUNTY, CA (September 28, 2017) – The Solano County Board of Supervisors will consider entering into an intergovernmental agreement with the Yocha Dehe Wintun Nation to receive $1 million in new funding to be used for the benefit of Solano County residents by promoting healthy outcomes and helping families in need at their meeting on Tuesday, October 3 at the Solano County Administration Center, 675 Texas Street in Fairfield. 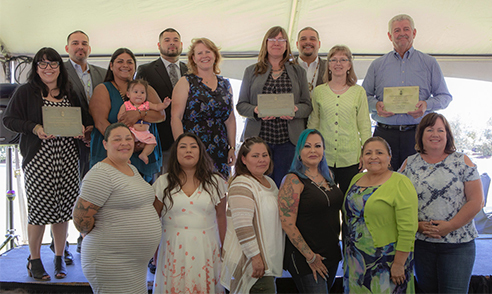 BROOKS, CA (May 11, 2017) The Yocha Dehe Community Fund saluted the achievements of its local partners at its ninth annual Partners in Philanthropy Luncheon at the Yocha Dehe Community Center in Brooks. 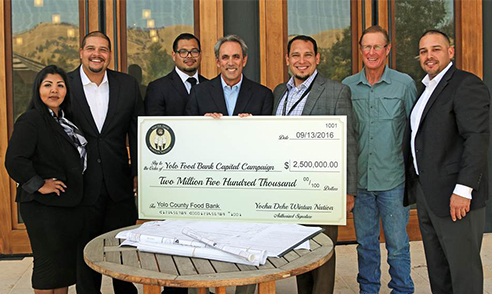 As a long-term Yolo Food Bank partner, Yocha Dehe Wintun Nation gave a $2.5 million capital gift to the Yolo Food Bank for renovation of its new and expanded facility to support its mission to end food insecurity in Yolo County. Yocha Dehe Community Fund gathers to honor the achievements of its local partners . Explorit Science Center has recognized and thanked all the donors and volunteers who helped bring hands-on science fun to the community in 2013. Among the donors was the Yocha Dehe Wintun Nation Community Fund, who sponsored a variety of nature-based explorations from Nature Safaris and Discovery Lessons at Explorit to Spider Safaris and Family Science Nights throughout Yolo County. The Explorit Science Center noted that, the Yocha Dehe Community Fund investment in Explorit "has broadened the horizons of many." The Fund has provided more than $20 million in grants since 2000.